Since beets are almost exclusively used in a cooked form, which means that losing the raw texture is less important, so they do freeze fairly well. Here's how to freeze beets to store in your freezer at home. Freezing keeps beets safe to eat almost indefinitely, but the recommended maximum storage time of 12 months is best for taste and quality. The most important step! 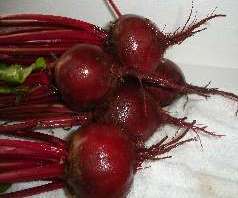 Select deep, uniformly-red, tender, young beets. You need beets that are FRESH and crisp. 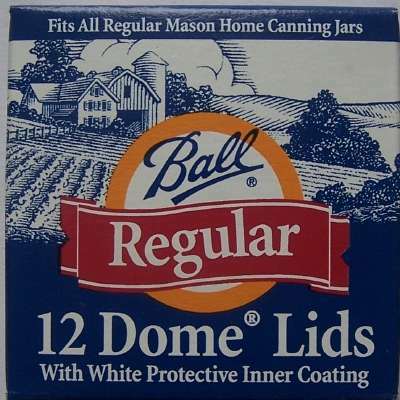 Limp, old beets will make nasty tasting canned beets. Guests will probably throw them at you.. Select firm, crisp beets. 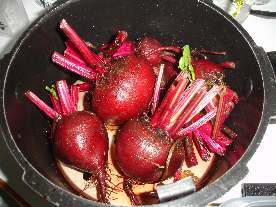 Remove and discard any soft, diseased, spotted and chewed up beets. You can grow your own, pick your own, or buy them at the grocery store. 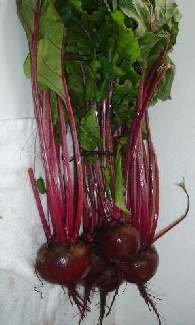 About 7 pounds of 2- to 21/2-inch diameter beets makes about 8 pints of beets. Trim off the roots and stems. The skins should easily slide off. Slice the beets into 1/4-inch slices. You can leave the beets whole (if they are small, say 1 inch or less), or quarter them or slice them into 1/4-inch slices. 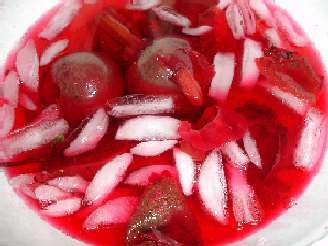 Freezing keeps beets safe to eat almost indefinitely, but the recommended maximum storage time of 12 months is best for taste and quality. 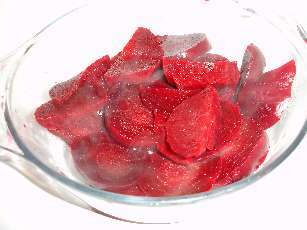 The quality of the frozen beets is maintained best in a very cold freezer (deep freezer), and one that keeps them frozen completely with no thaw cycles. 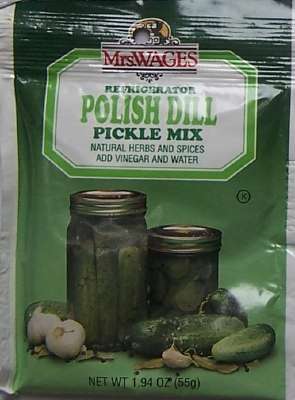 Excluding any air from inside the bags which leads to freezer burn, by using vacuum-sealed bags, is also important to maintaining quality.